Stunning CASE’d Card | Stampers With Altitude!!! 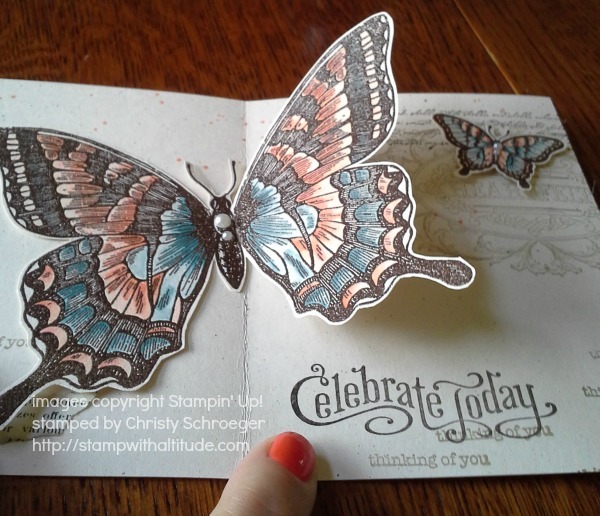 I CASE’d (Copy And Share Everything) a card from Shelli Gardner (she’s the CEO of Stampin’ Up!) today. This card was a lot of work. 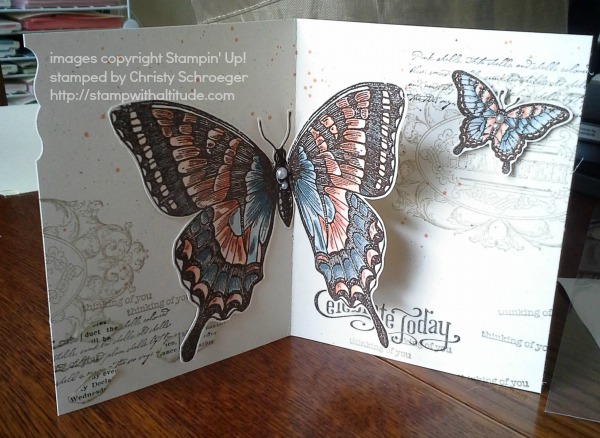 I am pretty sure I did things that they didn’t (I know I colored the whole butterfly) but since I didn’t hold the card, to see exactly what they did, I used my instincts. I have to say, I LOVE this card; hard work and all! Yes, it has EVERYTHING to do with the butterflies!! What you may not be able to tell is that this card is a “pop up” card. 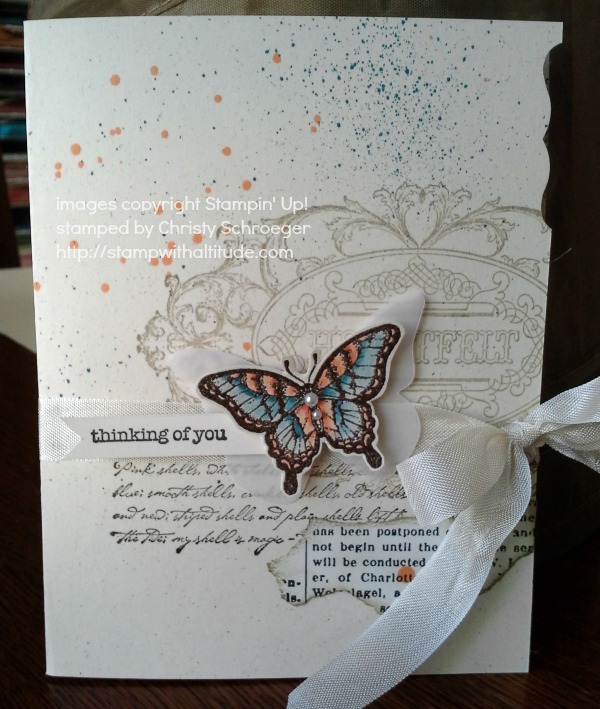 Meaning, every time you open the card, the butterfly wing opens! The middle picture shows it best. This card uses a lot of stamp sets and supplies. It’s definitely a “special occasion” type card! I watercolored with Blender Pens and Ink Pads to color the butterflies. I also “spritzed” with an aqua painter and ink refills.